14K Strawberry Gold® Costa Smeralda Emeralds™ 3/4 cts. Ring with Vanilla Diamonds® 1/3 cts. Egypt's Cleopatra favored emeralds as did the Moguls of India who wore them as talismans. 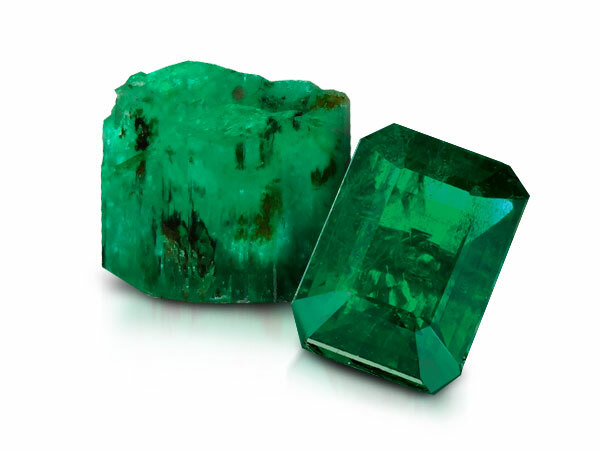 Later, Spanish explorers discovered the fabulous green gem. The rich green hue is symbolic of the color of spring symbolizing loving and rebirth. Costa Smeralda EmeraldsTM are named for the majestic Emerald Coast in Sardinia, one of the most breathtaking beaches in the Mediterranean. The Costa Smeralda EmeraldTM collection features meticulously matched diamond cut, gem quality emeralds pave set in Le Vian® Strawberry Gold®, accented with Vanilla Diamonds®. To create these signature pieces, Le Vian® searched the world for the clearest and rarest emeralds, looking to create a work of art. 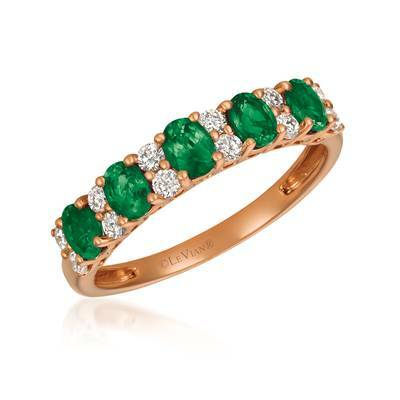 Le Vian® artisans chose the finest color and clarity natural emerald melee found in the world today and re-cut every one into a diamond-cut round brilliant-shaped sparkle of luxury. The difficult painstaking process of acquiring this quality of emeralds and re-cutting and matching them has resulted in very limited quantities that can only be supported in a handful of stores. "Genuine natural gem quality untreated emeralds from Zambia have been recut into 58 facet modern brilliant cuts and matched to perfection to bring out a level of quality never seen before in emeralds. Due to the dfficulty and rarity, productions of Costa Smeralda Emeralds TM are as rare and elusive as an idyllic vacation!"